Griffith Park really is the gift that keeps on giving. 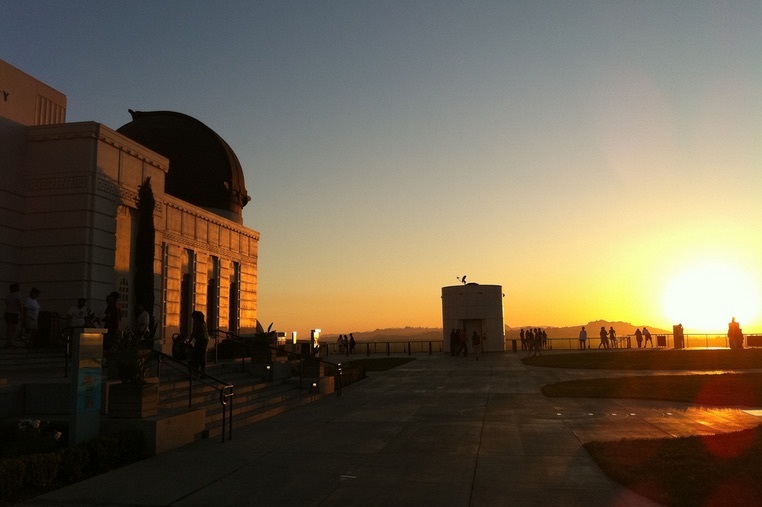 For instance, did you know that each month as part of their regularly scheduled programming the Griffith Observatory offers a sunset walk led by a Park Ranger and a Museum Guide? If you’ve never really been to the observatory or Griffith Park, this is a nice way to get acquainted with the area while tackling only a short distance (only about a half-mile total) done at a moderate pace. Basically, perfect for newbies, or really anyone who has never seen a sunset from Griffith Park. The guide will take you up the Charlie Turner trail to the Berlin Forest on the hill just north of the Observatory, and then returns to the West Terrace. On your short trek the guide will introduce you to some of the the highlights and history of park, plus you’ll have the opportunity to ask questions and, of course, check out the views of the city and dusk sky. And of course the best part… it’s FREE! Each short hike starts a short time before sunset at the Observatory’s West Terrace and usually lasts about one hour.